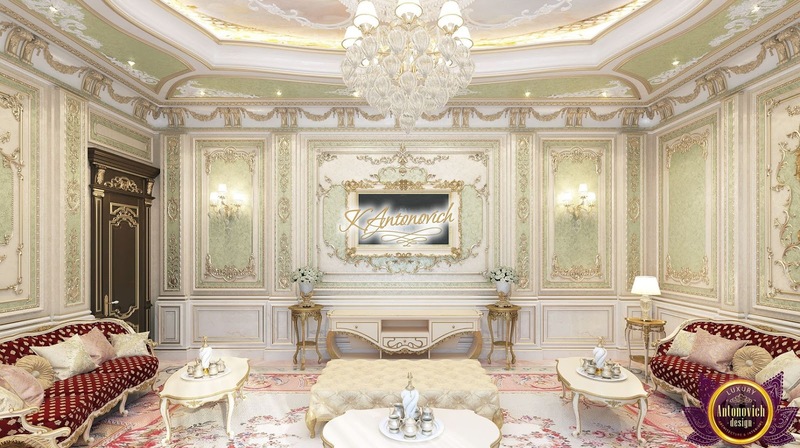 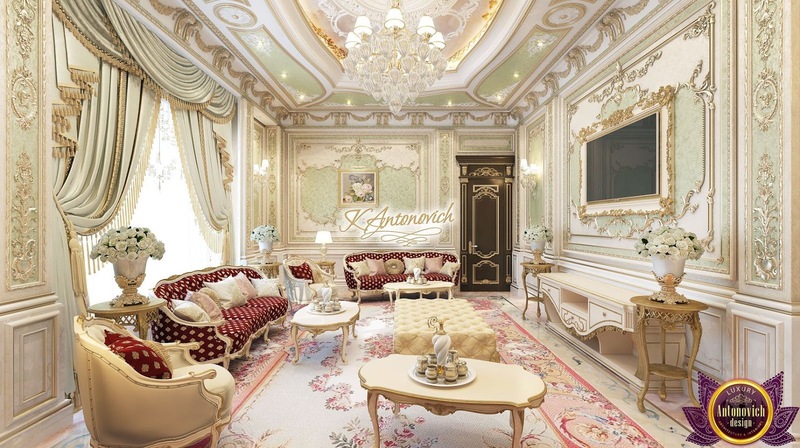 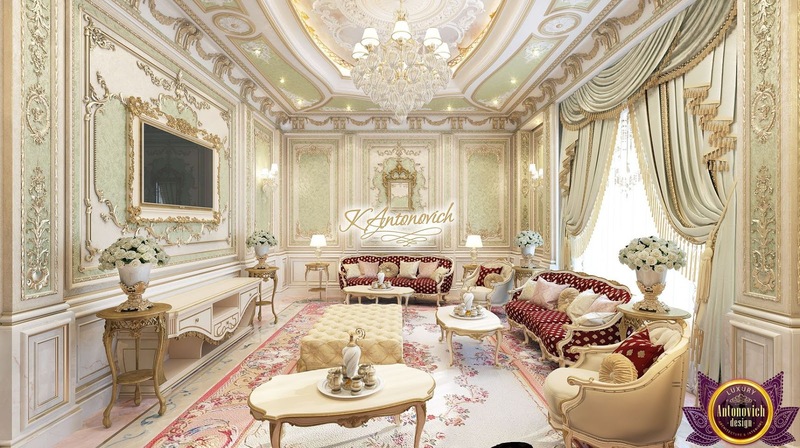 The royal interiors created by designer Katrina Antonovich are always filled with the warmth of home comfort, beautiful decor and unique design solutions. 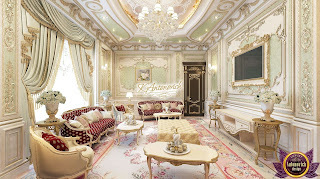 The classic style of the designer combines with notes of oriental and art deco. 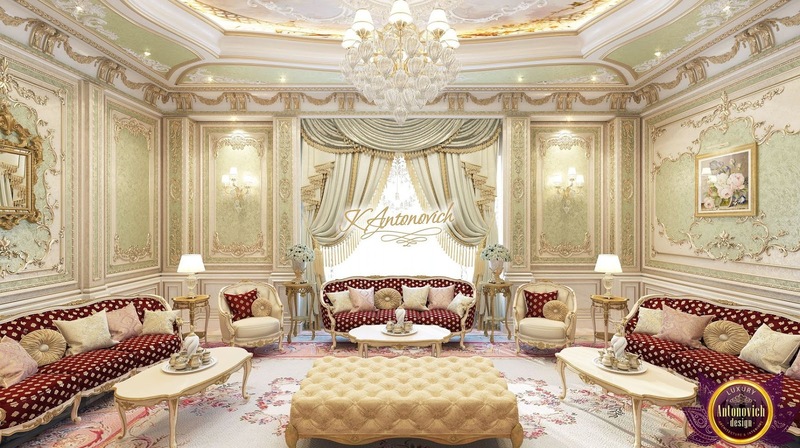 Lush decor of walls and ceilings is perfectly combined with elite furniture. 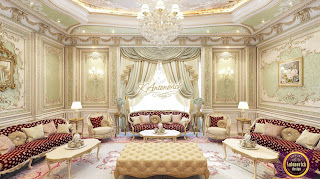 The interior of the living room is the culmination of a beautiful history of luxury and comfort.